Gwen Higaki is helping educate kids in Cambodia. Gwen Higaki and her husband, Vernon, have made 10 trips to Cambodia, and anxiously await number 11 in January. For more than 20 years, Higaki (pictured at right, in blue) worked for a Fortune 200 company, climbing her way up the corporate ladder. In July 2009, after leading her church’s first missions trip to Cambodia (Western Reserve Grace Church in Macedonia, Ohio, pastored by Jason Haymaker), Gwen returned home to learn that her father had committed suicide. The grief that followed and the subsequent drawing nearer to God caused Higaki to question her ambitions – and it also planted in her a seed of inspiration: She wanted to return to Cambodia. The second missions trip in July 2010 had a very different ending. Higaki and her husband joyfully rededicated their lives to Christ when they were re-baptized in Battambang, Cambodia. And then God laid a burden on her heart. The question was: who was going to do it? With all of her experience in the business world, Higaki felt a growing impression that her unique experiences and gifts would be a perfect fit for Cambodia’s need. She was the one meant to take ownership for making the idea a reality. The next question was when? Higaki wrestled with this calling that was imperative in exchange for the career she had spent her lifetime building. The company she worked for was going through another merger and acquisition. In early 2011, Higaki’s boss approached her about a new job opportunity. 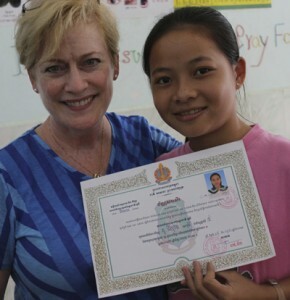 Later in 2011, Gwen founded and became executive director of Bright Start Learning, which provides remedial learning and educational assistance to children in poverty-stricken Battambang, Cambodia, and the surrounding villages. Since its beginnings, BrightStart has grown from 25 to more than 600 children, and offers eight different study centers across the city. 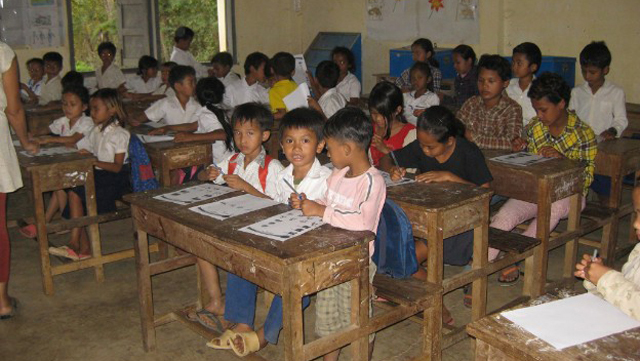 You can find out more and how you can pray or give at brightstartcambodia.org/. BrightStart Learning, in cooperation with Encompass World Partners, also offers three-month to one-year internships to young adults called to ministry in Cambodia. Check out this link for more information. [Connect:] Send a note of encouragement to Gwen at gwenhigaki@gmail.com.